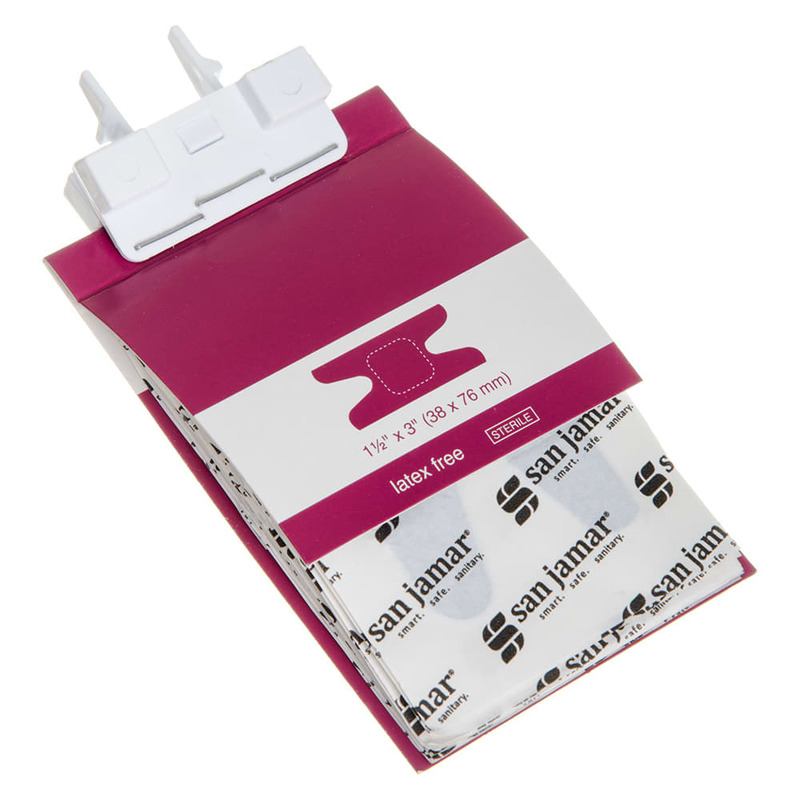 The San Jamar MKBR903 knuckle bandage refill replaces knuckle bandages in the Mani-Kare® dispenser. 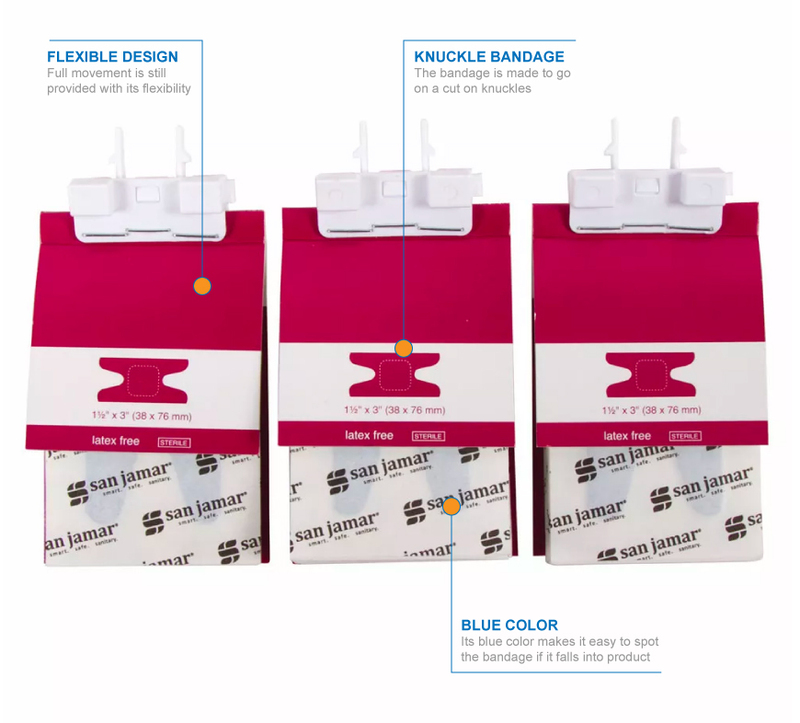 Each bandage sticks to knuckles throughout use since it is highly flexible. Since the bandage refill comes in blue, staff members can see if it falls into product and contaminates it. These bandages are latex free.